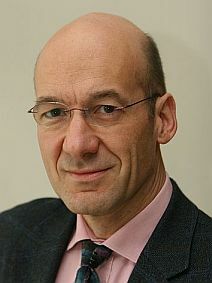 Dr. Michel Philippart is one the first sourcing professionals to have developed and promoted the idea to link Procurement and Shareholder Value through the capture of differentiating competitive advantages. He introduced his "Supplier Contribution Matrix" at a McKinsey conference and in an internal publication in January 2001. He explains that a CPO must measure his performance not only as financial and operational improvements along a timeline, but also include the impact of collaborative supplier management to deliver superior products or services to the market in a way that delivers sustainable competitive advantages, insulating those privileged relations from competitors. "It is more important for a CPO to perform better than the direct competitors of its company than to beat historical benchmarks"
His work is the result of his experience at Booz Allen (today Strategy&), the consulting firm he joined after graduating from Kellogg School of Management in 1989, then Frito-Lay International / PepsiCo between 1994 and 2000. He collaborated with McKinsey & Company between 2000 and 2002 to formalize his concepts. Up to 2006, he lead Procurement at GSK Vaccine Division. Managing a spend of more than € 1 billion. He and his team strengthened significantly the relation with suppliers to secure critical resources essential to tripling the business in the coming years. Today, he focuses on transmitting this experience. After teaching for 8 years at Grenoble Ecole de Management, he has joined EDHEC Business School as Professor Supply Strategy. He has also collaborated occasionnally with Insight to Action in Los Angeles. In 2006 and 2012, he has received the "ACA-Bruel" award for his contribution to the definition of Strategic Purchasing and deployment of collaborative approaches.